Ok, I admit, there is nothing artistic about this video. Social Business: To measure or not to measure? You have heard it before: “You cannot improve what you cannot measure”. For the past few decades, we have strived to model and analyze all the aspects of business so that we can continuously create more efficiency and improve its performance. As we look at the shift towards business that is more social, many have argued that it is very important to continue measuring performance. Processes and tools will have to change to promote more engagement and capture conversations, but they need to continue to model and measure for business monitoring and improvement. Of course, I agree with that. But I argue that current metrics used by business are not as useful in a Social Business environment. For analytics to continue to be valuable as business models change, metrics have to change accordingly. 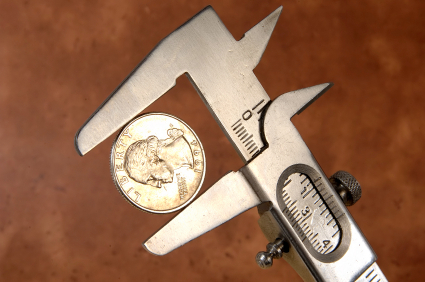 When we measure Customer Service as a stand-alone organization, all we find are costs. There is no tangible value creation. A CEO looking at a KPI dashboard will be rightly compelled to take talent out of that cost center, reduce costs, outsource. “But we measure Customer Satisfaction”. That, my friends, is a fallacy. The accountant cannot place a dollar value on “Satisfaction” and it gets ignored by decision makers. We don’t need to argue, it is enough to look at how customer service is regarded in the majority of companies today. “Customer Service is the New PR.” “Zappos is showing the way.” We all agree that Customer Service is a key element for Social Business success. But how to measure its performance? Happy customer generates more revenue by influencing other prospects. That has always been true and is even more important in a world where consumers are empowered by peer-to-peer interaction through Social Media. 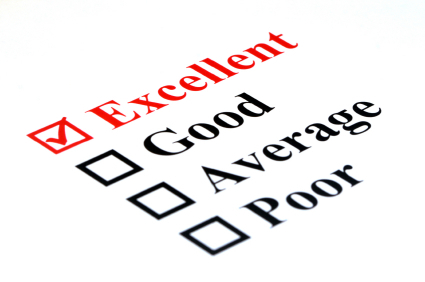 To evaluate performance of Customer Service, we need to measure new business generated through influence. The accountant can measure that in dollars and the CEO can make more informed decisions. Now, if you keep current analytical models, try to tell Sales and Marketing that revenues from new business are no longer credited to their account, but to Customer Service. It is not about who or which department is creating value, but understanding and correctly modeling business performance. Then getting people to collaborate towards business goals with less focus on personal and departmental accountability. It requires less Management and more Leadership. That is the challenge of Social Business. Metrics are important. But we need to shift from measurement that is primarily designed to provide accountability to more holistic metrics that evaluate the reality of business. Until we internalize the shift in business model, no metrics might be better than bad metrics. I have for some time been thinking and writing that the goal of companies must shift from Customer Loyalty (happy customers reliably come back for more) to Customer Advocacy (happy customers tell their peers about how good your company is). Loyalty and Advocacy sometimes come together, but they are not the same. We are loyal to companies that are exceptionally good at satisfying a vector of satisfaction (value, flexibility, convenience, etc) we are sensitive to. Airlines have been very successful implementing loyalty programs. Elite travelers get reward travel and can skip some of the terrible customer experiences airlines offer to their “regular” customers. It works. Most Elite travellers I know do unthinkable things to fly with their “preferred” airline. 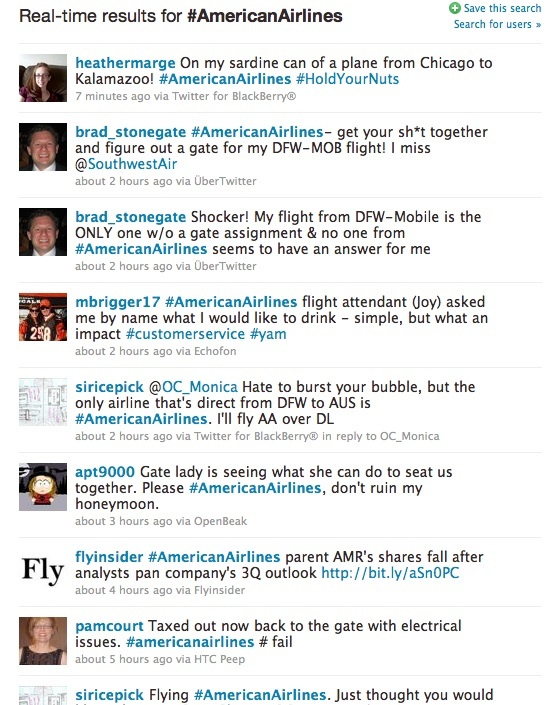 Now, search any of the airlines in Twitter and most of what you see are complaints from customers when things go wrong. Don’t expect to see customers taking the time to say “my flight on American today was wonderful, the service was so nice. I really recommend it”. So, how to earn Customer Advocacy? Of course a great product and a prestigious brand help. But it is not enough. Is it Customer Service (as suggested by the title of this post) the key to earning Customer Advocacy? When I posted “Great Products earns Customer Loyalty, Great Customer Service earns Customer Advocacy” yesterday during a Customer Service Twitter chat (Tuesdays, 6PM Pacific at #custserv) there was good reaction. That is certainly true, the Social Customer looks at a positive and seamless engagement before putting their reputation behind a peer recommendation. Prestige of the brand and coolness of the products, value and purchasing experience, responsiveness when things go wrong, transparency and the respect for the customer voice, those are all factors. If in the past the focus on customer engagement was on pre-transaction (branding, advertisement, sales), that has now to extend throughout the post-transaction experience. So, it is not only about Customer Service. But that is where the revolution needs to start. Companies need to see Customer Service as their point of engagement with the Social Marketing Funnel. Customer Service has to get the same status within organizations as R&D, Marketing and Sales and stop being seen exclusively as a cost center. If not the only key area, Customer Service is the glue that brings together the seamless customer experience that promotes Customer Advocacy. You most likely have used a GPS device to guide you from point A to point B. You also know that your GPS system has a Point-of-Interest (POI) feature that allows you to locate gas stations along the way and insert them as waypoints in your route. You have never used POIs to find gas stations. And you never will. Why is that? Humans are not good driving to a place they don’t know, but they are very good at finding gas stations along the way. That is because we can search them visually (we are much better than machines at that) and use patterns such as “there is usually a gas station on freeway exits”. The GPS POI software does not provide enough value to justify itself for that task. If your company has more than a handful of people in sales, you have a CRM system which is used, among other things, to store contact and transactional information and provide reports and dashboards to management. You know your CRM tool was also designed to enforce sales processes and help sales people sell. And, as you probably know, they don’t use those features for real. Like looking for a suitable gas station, Sales is a human, non-structured activity and it is impossible to capture the relationship aspect of it into a linear workflow. If the CRM system forces you into a fixed process, you just stop using it. Does that mean CRM Tools cannot help people to sell? Of course they could, but it takes a different approach. For activities that are not suitable for automation, systems should not attempt to guide through a pre-established path or workflow, but instead it should assist by bringing meaningful data in context that enhances their ability to make decisions on the fly. Augmented Reality is an emerging technology that overlays a data layer over what you see to assist you in making faster decisions. Imagine that as you drive, your car can detect sources of infrared and project on the windshield so that it highlights a deer crossing the road in front of you. It is still up to you to avoid hitting the animal, but the system is providing information to assist your actions. If CRM systems can refrain from guiding people through a rigid sales process and rather project a data layer on the windshield that brings information in context so that humans can make better and faster decisions, maybe we can get the right combination of guidance and assistance that makes CRM software not only good at storing contacts, capturing transactional data and providing analytical reports, but actually help you to find more gas stations. That is one of the promises of Social CRM.